2. Take a flat shader brush (e.g. MAC 239) and pat Holla For A Dolla on to the lid. 3. Take a flat shader brush (e.g. MAC 239) and pat Chocolate Gold in the inner corner. 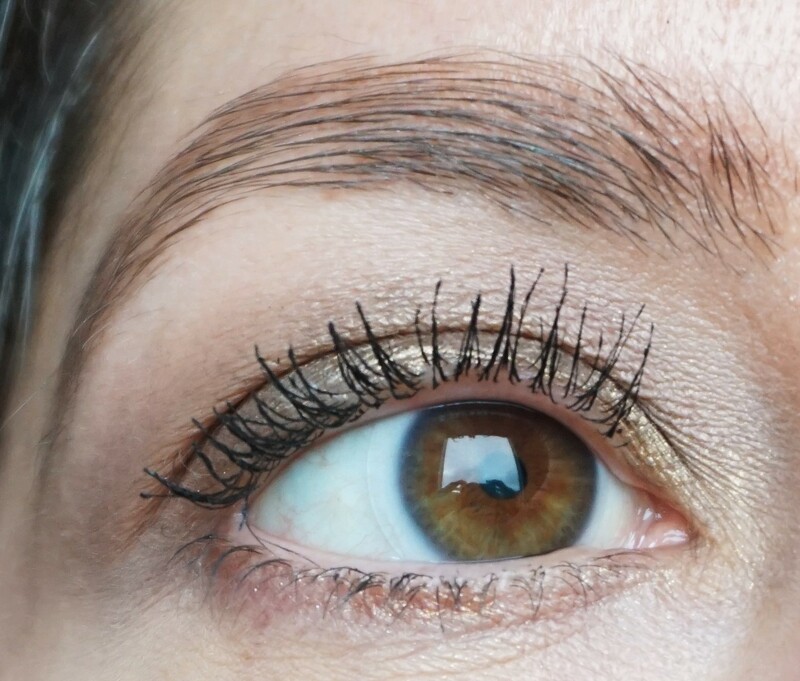 Take Chocolate Gold up into the inner crease of the eye as well to add a little extra brightness to the eyes. 4. Take a crease/blender brush (e.g. MAC 217) and sweep So Boujee into the crease. Use a windshield wiper motion to blend the colour into the crease. 5. Take some of Cocoa Truffle on to a crease/blender brush (e.g. MAC 217). 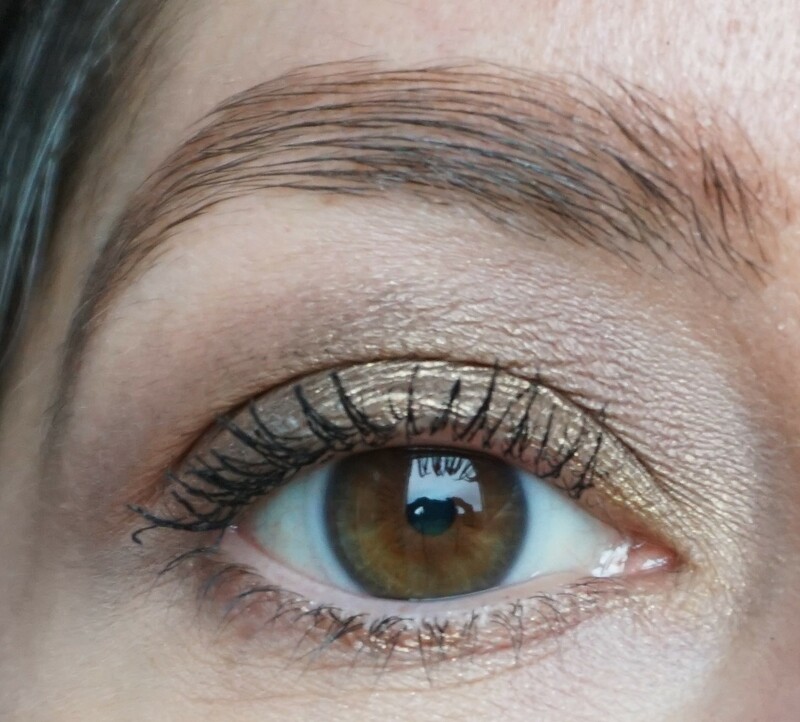 Using a windshield wiper motion, apply Cocoa Truffle to deepen the crease. This step adds some extra shape and depth to the eyes. 7. Take an angled eyeliner brush (e.g. MAC 266) and apply Holla For A Dolla along the lower lashline. 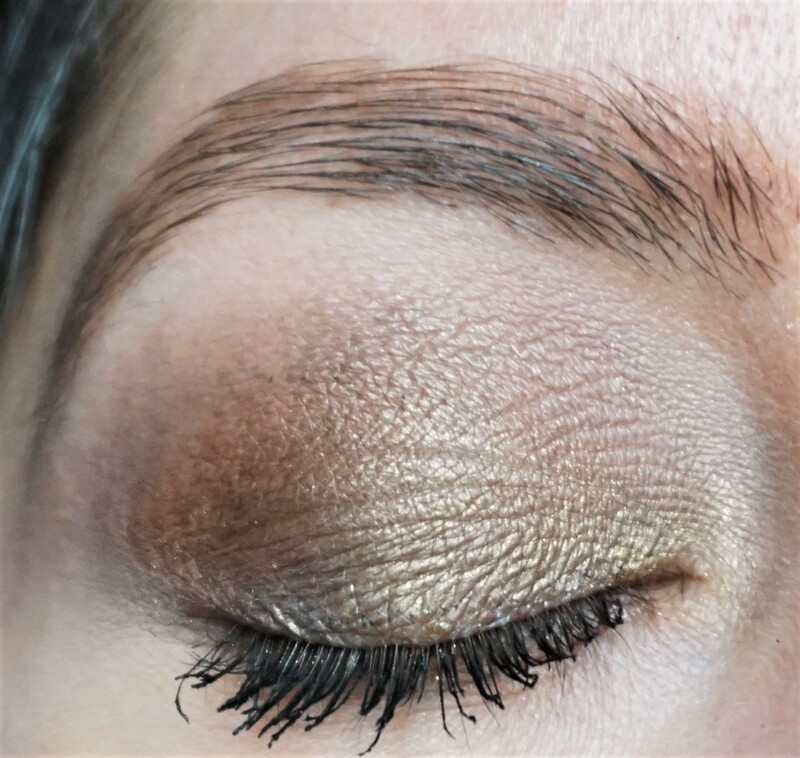 Use the same brush to apply a little of Chocolate Gold along the inner lower lashline. 8. Take a little of Famous on to a small flat shader brush (e.g. MAC 228), a flat shader brush (e.g. MAC 239) or a clean finger. Use the brush or your finger to very lightly pat Famous in a thin line on the centre of the eyelid. This step adds extra brightness to the eyes, as well as a nice little flash of coppery-gold, when the eyes open and close.